Squeezable and collectible! 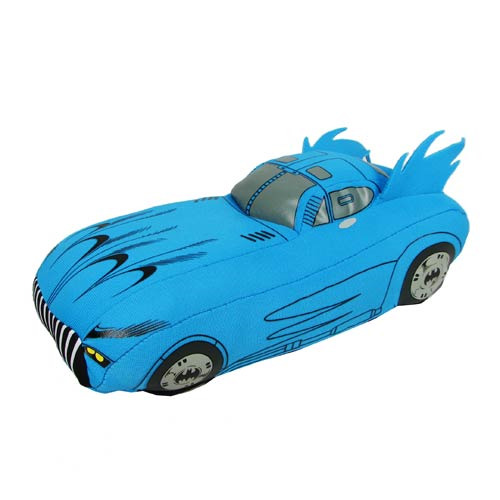 The Batmobile from DC Comics gets the plush treatment! This Batman Batmobile 8-Inch Plush has fun, cartoon-like features. It'll look great on your couch, on top of your desk, or in your display case. Measures 8-inches long. Ages 3 and up.